This guy ring a bell? The old method just doesn’t work. I don’t know how many times I’ve been told to “re-read the chapters and just go over my notes” in preparation for a history exam, but after years of study on my own and with my history tutoring students in New York, I’ve come to realize that there’s definitely a better way to process and to memorize historical facts in preparation for testing. Whether you’re studying for your high school history class, the SAT II, or AP US or World History, the key is to switch things up and to be ready to put a little extra time in. By shifting gears, you’ll be turning your studying into an active rather than a passive exercise, and your brain will start to organize the storylines through new patterns that’ll be easier to recall than the themes presented in your text book. Here’s an example: one of my students who attends a prep school in New York City recently took an exam for his AP European History class on the Protestant Reformation. Admittedly, this can get a little boring – and his dry textbook was doing him no favors. 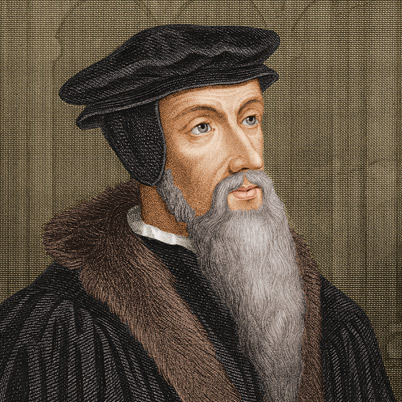 But in putting together a study guide, we decided to organize the facts by key figures, like John Calvin up there, rather than through chronology. This helped my student to create more dynamic examples, to re-chart some of the major narratives in a way that was easier to remember, and to give him some concrete footholds in telling these stories to himself – rather than trying to remember the sort vague idea that many Protestants and Catholics were sentenced to death for their ideas throughout the 16th and 17th centuries, we made separate entries for people like Michael Servetus (1509-1553), Spanish polymath, theologian, and humanist, burnt at the stake (grisly!) in Geneva (home of John Calvin) for heresy. Not only does this person-based approach to studying history give you vivid imagery and firmer hooks to hang your understanding of historical change on, it’s also what will help you score extra points on all your standardized tests. I can guarantee that any history class you take in high school or college – along with AP US, Euro, and World History – will include a graded essay. And pointing to specific people and events to support your claims helps you to score higher across the board. These essay-crafting techniques are another thing I emphasize with my students, but all the tricks in the world won’t help unless you have a healthy pool of historical facts to draw on. So give this technique a try for your next exam. It might require a total re-write of your class notes, but that task of reorganization will be half the battle. Not only will the facts stay with you longer this way, but you’ll also start to find these narratives arcs looking more dynamic – both in your textbook and in your next essay.